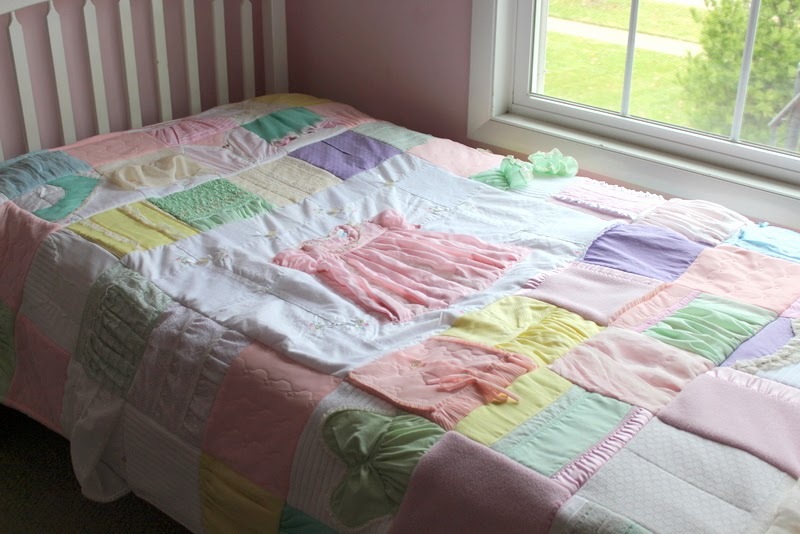 You may recall that I completed a number blankets made from baby clothes that were larger than my standard blanket. 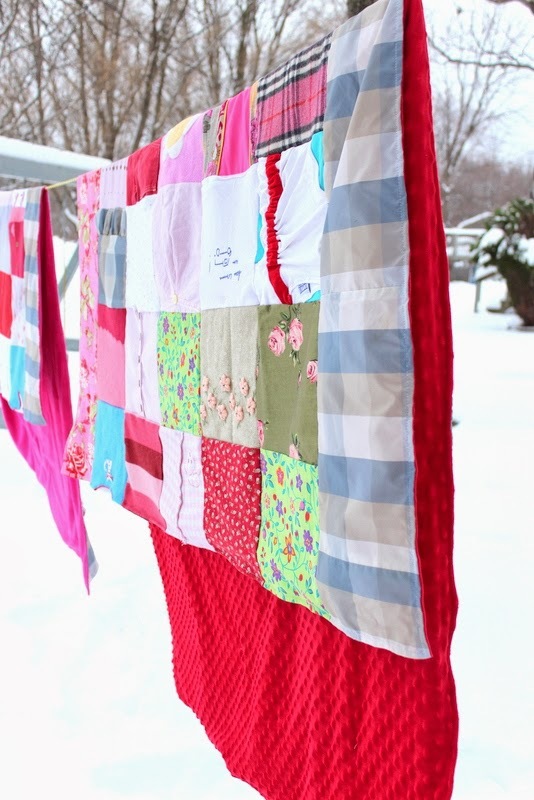 The first one was a special blanket created from the vintage dresses belonging to my neighbor that were made by her grandmother and mother. The blanket was for my neighbor’s daughter. Because of the unique materials I wanted to create the blanket in a different way. I try to use as many of the original materials as possible. 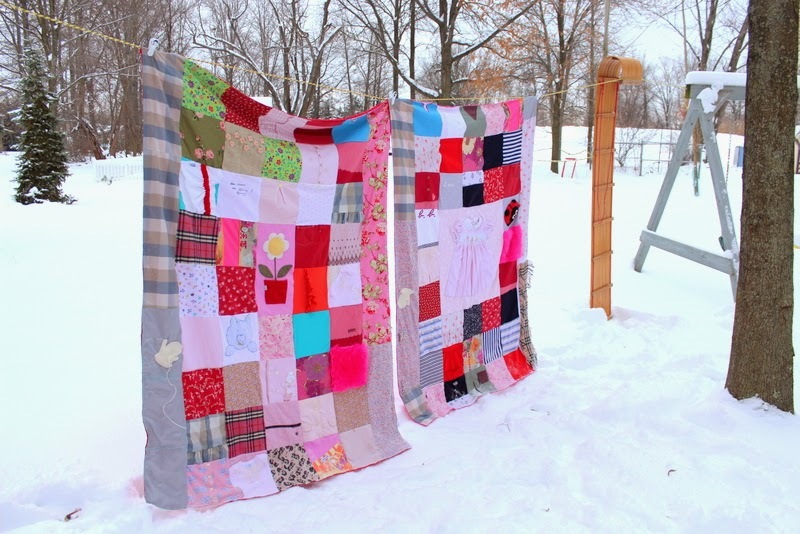 So I used a quilt-as-you-go method to secure each block to a foundation (if necessary) using blankets and robes as the foundation. 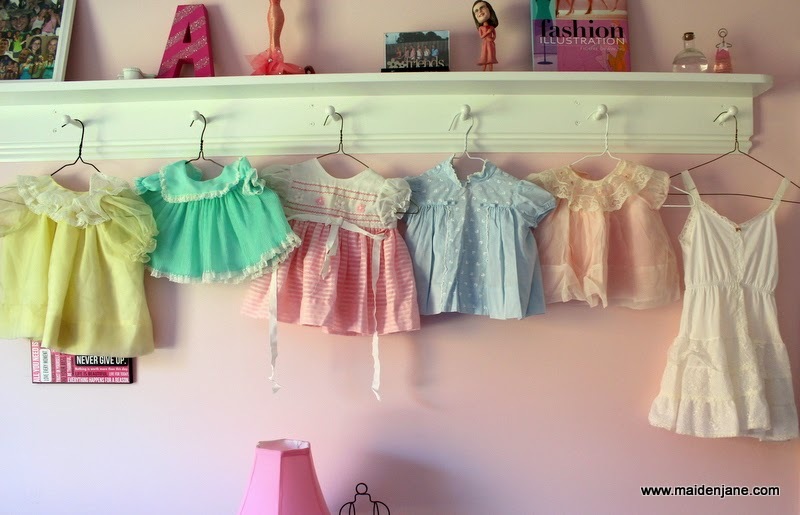 This was especially important due to the delicate nature of some of the dresses. 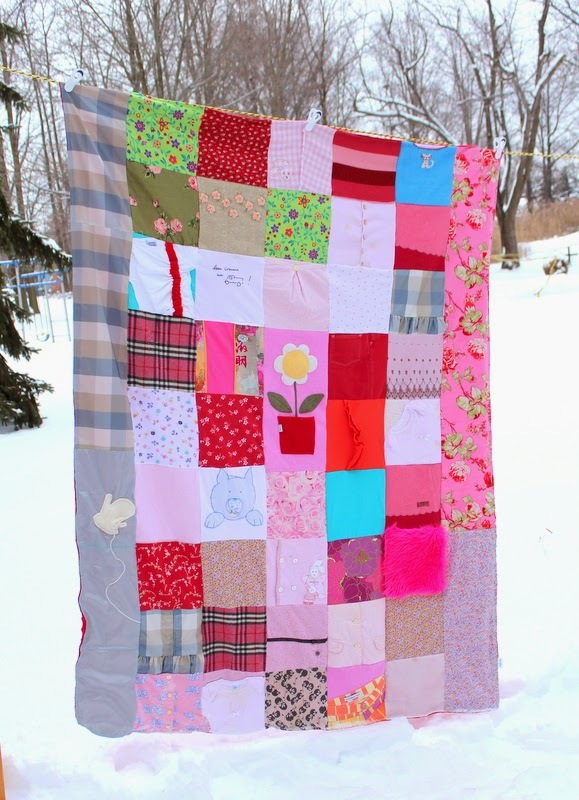 The blanket is quite large, with a center panel using one of the dresses. 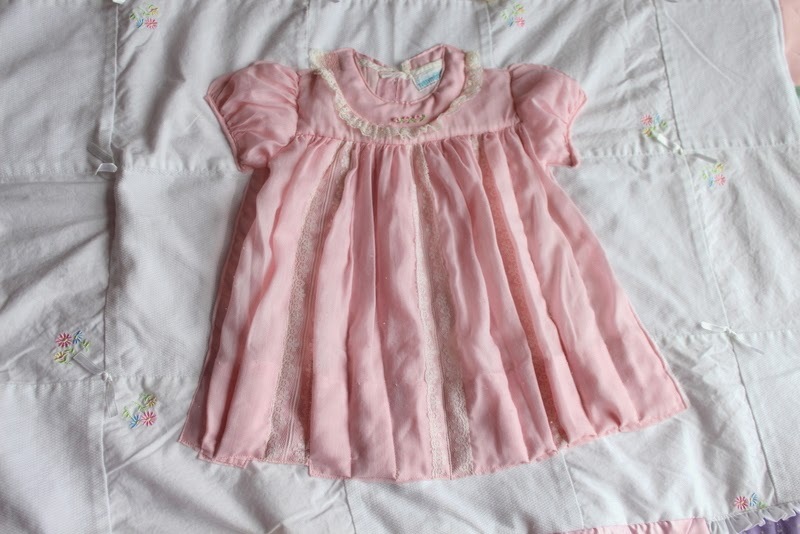 I blogged about it here and you can see a lot more photos. The blanket is 8 blocks by 10 blocks. 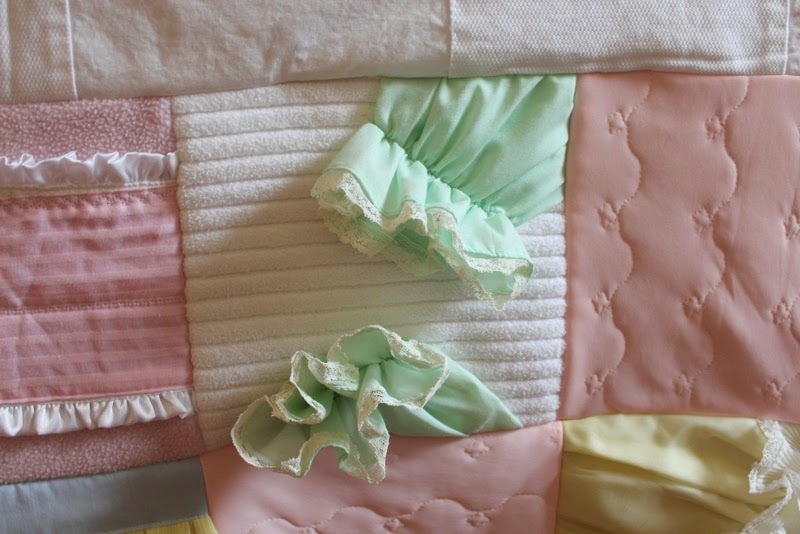 My standard baby clothes blanket is 6 x 6 blocks. 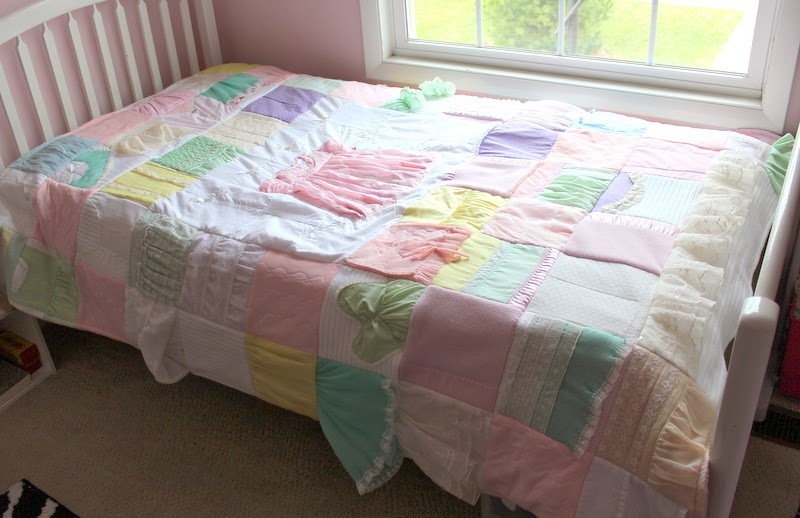 It makes a nice blanket to transition baby to toddler or young child while preserving those precious baby memories. 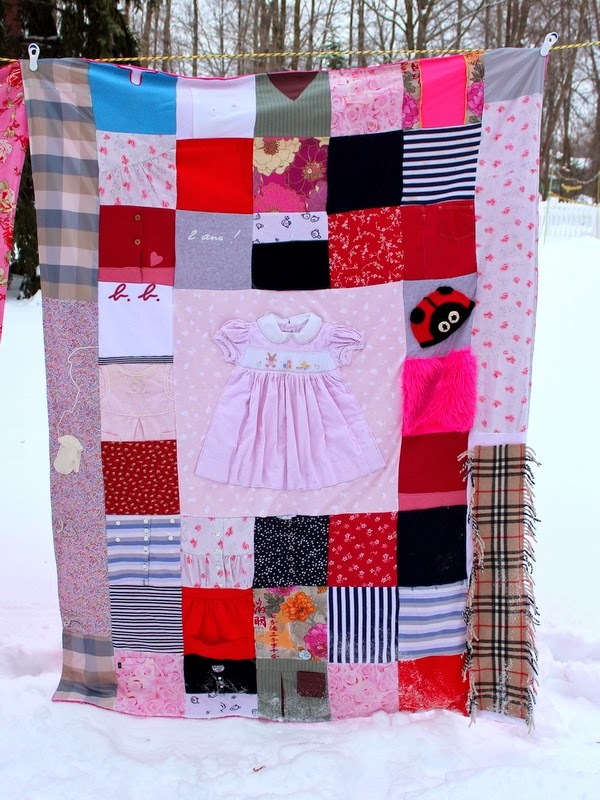 I also had the opportunity to create two more blankets using special baby clothes that I shared on this blog post. 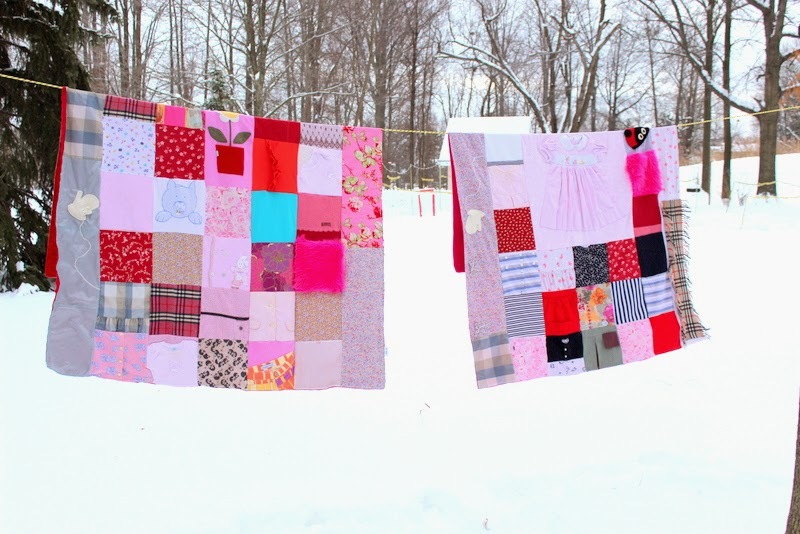 These blankets were actually gifts for teen girls, so we wanted to make it bigger. The size is 7 x 9 with minky backing. Many projects I make are unique because the items I receive are so varied. 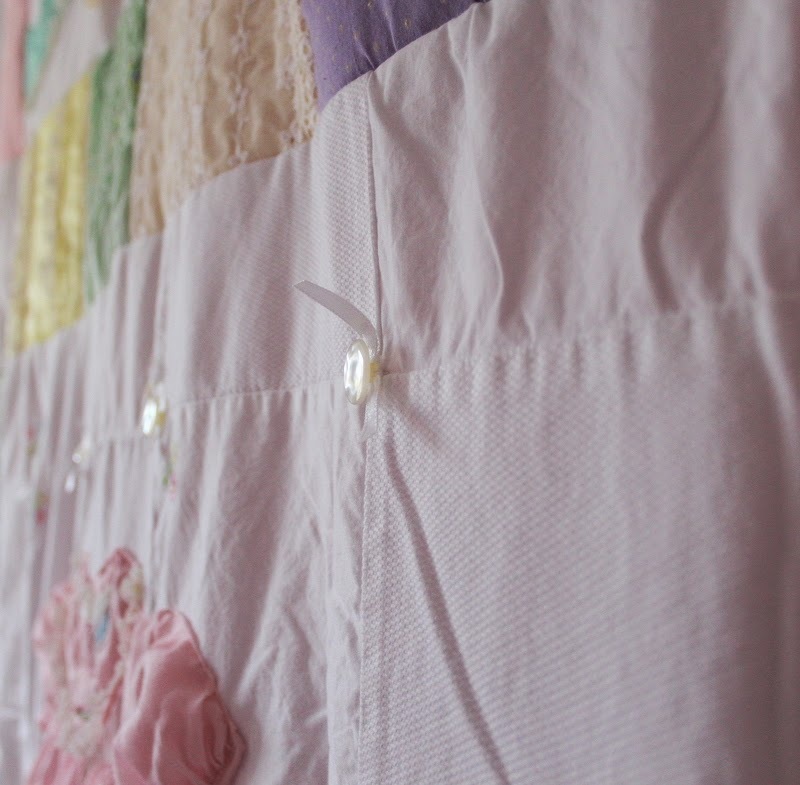 I study the materials and try to create a blanket making the best use of those materials. It is a fun and creative process and I enjoy working with the customer – as much as they wish – to create a finish product that will enjoy. 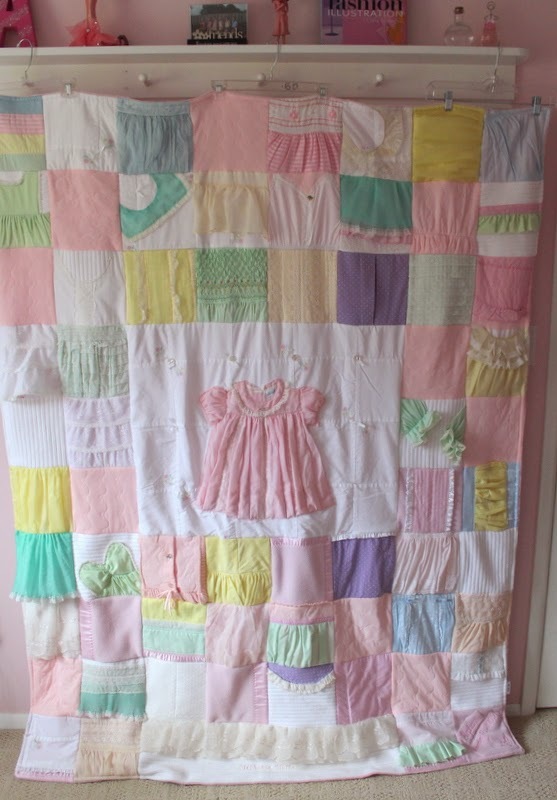 I have created a product listing on my Etsy shop for this Extra Large Baby Clothes Blanket.